Any rumors on what the iPhone 5 will consist of and if it will be announced mid year? That makes sense. There only option right now is to have better specs, even if those specs are ultimately pointless for the average consumer, or worse, actually hinder the device in other ways. Since most flagship Android-based devices have moved to a larger display to advertise even though the resolution is often before the iPhone’s total pixels to doubly affect it’s pixel density, it’s still a marketing angle. It’s also a way to have more room for HW while keeping a thin appearance. But will customers go for it over it, especially when they find out the current limitations of LTE components? When iPhone 2G came out in 2007, it outsold all the 3G phones, and still does today. what are the current limitations of LTE components? Since most flagship Android-based devices have moved to a larger display to advertise even though the resolution is often before the iPhone?s total pixels to doubly affect it?s pixel density, it?s still a marketing angle. It?s also a way to have more room for HW while keeping a thin appearance. But will customers go for it over it, especially when they find out the current limitations of LTE components? I tend to agree in general with your remarks but I don't think the "better specs" option is as pointless as you say. Now we know that LTE is probably off the table for iPhone 5, I think what we will see is a significant processor speed or memory improvement instead and I think that it will be more than welcome. The iPad struggles quite a bit with it's slow processor and limited memory, the iPhone would too if it had any productivity apps that actually taxed the thing. I'd like to see a dual or four core chip and twice the memory for starters. For the iPad it's almost essential, but it would be nice for the iPhone as well and I don't see it getting in anyone's way. *Please note that I just made up number three and four. That wasn?t my point. Sure, we all want these devices to be faster and better, but a simple HW comparison should be used as proof as there are other variables to consider. The point of using better HW isn?t easily quantified when you have different OSes on them. With Android not having GPU accelerated UI it will likely needs more RAM and CPU cycles to do the same job as the iPhone. Could an Android tablet run on 256MB RAM as well as the iPad can? I don?t think so. I do think the iPad need more RAM and hope it gets 1GB, but that is a different issue. The iPhone 5 won?t get a quad-core ARM CPU because it?s not available. Only last week we saw dual-core Cortex-A9 processors in devices COMING OUT LATER THIS YEAR. I bet most of them ship after the iPad 2. Here is an example of what I mean by HW specs not being a great indicator of performance when cross comparing OSes. Note that even the iPhone 3GS with a 600MHz CPU, 256MB RAM and 802.11g is besting the throughput of 1GHz CPU, 1GB RAM and 802.11n Android devices. Chip size and power draw. All these 4G devices will run themselves off of cliffs as they scramble to adopt early LTE chips, making their batteries useless while the iPhone cruises along. When the time comes for the iPhone to get LTE, the chips will have advanced to a much lower power draw, leaving battery life virtually untouched. LTE "4G" specs in my opinion is pointless. In the end, it's a phone first and the joe-consumer will place that first on the priority list. I think it's just the tech-heads that place way more importance on data speeds than really most consumers can comprehend which represent the minority. However, the wireless firms can use that as a marketing ploy to say "speeds are better than that guy's" but that will fly over most heads. Provide solid 3G performance and frankly, I think most folks won't care. Of course, faster is always better and not the kind of bickering that the telcos sling at each other. I'll give you a bit of a reality check... Any processor would be taxed if there were an app to tax the CPU. The A4 is a solid design. Always room for improvement but I think you would never be content. I'll choose great performance and long battery life anytime over some dual - quad core design that is too early to use, and would result is sucking the battery life right out the door. These are supposed to be "mobile" devices. This reminds me of the "MHz Myth" campaign back when Apple tried to convince the market that G5 Macs running OSX were faster than Intel PCs. Though many, including myself, supported the myth argument, at the end of the day most users don´t buy it and prefer to go only with hardware specs, unfortunately. 1) I think that’s likely, but even a single A5 built on Cortex-A9 would be welcome. Are there die size differences between SC and DC Cortex-A9s? 2) I hope so, especially in the iPad, which will surely be bumped to 512MB. 3) Maybe, and while don’t see other vendors matching Apple very easily at their price points it’s possible that Apple could see a financial reason for a larger capacity size. My reasoning is that the 64GB iPad with 3G is the 2nd most commonly sold iPad on Amazon. Note that they don’t have to step to 128GB next time. These get pricer and speeds can get slower so they could use 3x32GB for 96GB or 64GB+32Gb for 96GB, or something else entirely. 4) The current 3G radios are HSDPA Category 10 at 14.4Mbps and HSUPA Category 6 at 5.76Mbps. I haven’t seen any smartphones purporting any higher categories and the networks still don’t seem to be maximizing these chips. 5) Of course, but will what will have to offer? This makes sense Android phone makers will need to ratchet up the marketing with LTE. On Verizon's network the phones will need to use LTE is match he speed of HSPA+ on AT&T. i could find the theoretical speed limits of the chip used in the T-Mobile MyTouch 4G. 4) The current 3G radios are HSDPA Category 10 at 14.4Mbps and HSUPA Category 6 at 5.76Mbps. I haven?t seen any smartphones purporting any higher categories and the networks still don?t seem to be maximizing these chips. #6. 4" display without any marked increase in form factor. I think the time has come! Same as iPhone 4 and most other top-teir UMTS smartphones from 2010. 14.4Mbps down and 5.76Mbps up. 1) I think that?s likely, but even a single A5 built on Cortex-A9 would be welcome. Are there die size differences between SC and DC Cortex-A9s? 3) Maybe, and while don?t see other vendors matching Apple very easily at their price points it?s possible that Apple could see a financial reason for a larger capacity size. My reasoning is that the 64GB iPad with 3G is the 2nd most commonly sold iPad on Amazon. Note that they don?t have to step to 128GB next time. These get pricer and speeds can get slower so they could use 3x32GB for 96GB or 64GB+32Gb for 96GB, or something else entirely. The A5 built on Cortex-A9 would be welcome, but wouldn't a dual-core cortex A9 be more battery efficient? Yeah the iPad could use a bump to 512MB, even though it's already fast. Still, even though 32GB is plenty of memory, I know quite of few people that desire a 64GB iPhone. Isn't the iPhone 3GS/4 limited to HSDPA 7.2Mbps only? A new UI perhaps? NFC support? Ahh, so they are really selling a bill of goods on that whole 4G malarky. Mea culpa. 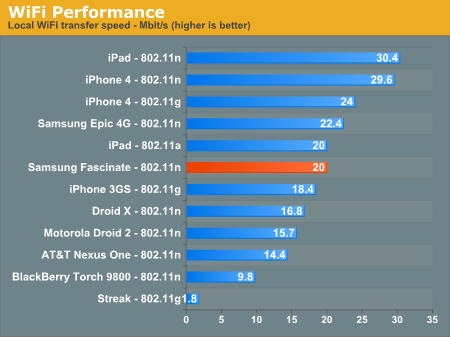 Most phones of 2010 have 7.2Mbps HSDPA, including the iPhone. Though the MyTouch 4G does have the 14.4Mbps.